I love football season. During this time, it seems as it is always cold out, so staying in the house all day cooking and watching the big game are a much better option for our family. This year was extra special because my son was home for a month from college. As a mom, it is so special to see my husband and my son spend their time together watching their favorite team play. Thankfully, they are both New York Fans! To enjoy the games, I usually like to put on a big pot of sauce and have pasta, which takes hours to cook. This year for the big game, I decided to make this more simple because I would rather sit with my husband and son and enjoy their company. 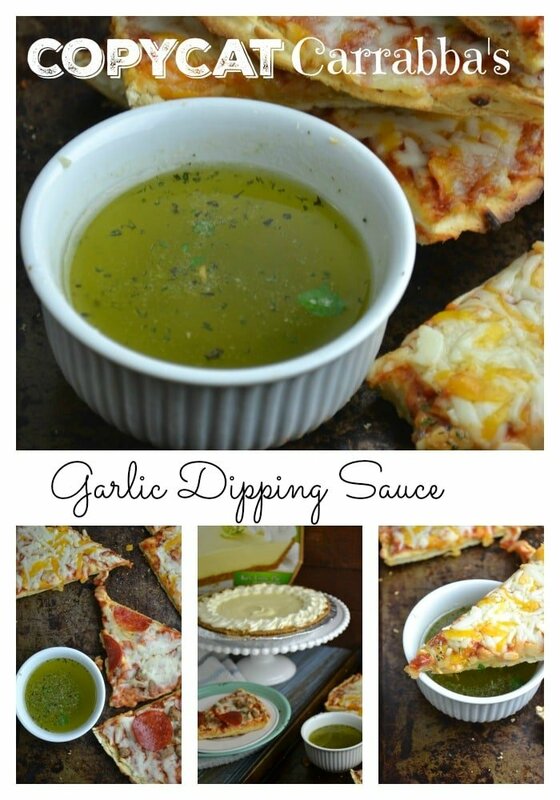 One of my all time favorite dips is Carrabbas garlic dipping sauce. Since I usually make a big Italian dinner during the game. Our Game Touch Down! Game menu for this year is Carrabba’s garlic dipping sauce, Red Baron Three Cheese Brick Oven Pizza and Key Lime pie for dessert. To make a copy cat version of Carrabba’s garlic dipping sauce, it is actually pretty easy. 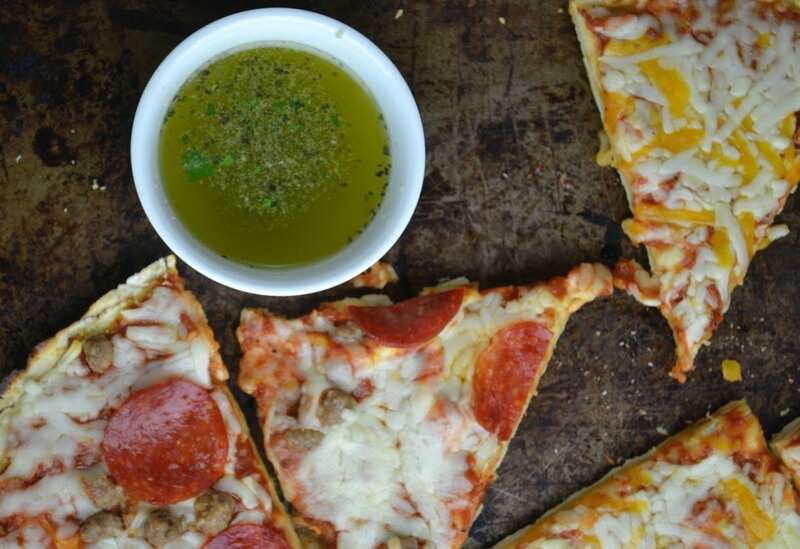 You will need 2 cloves of garlic, 1 bay leaf, 1 sprig of fresh thyme, 1 sprig of fresh oregano, 1 sprig of fresh parsley, 1 tsp black pepper, 1/2 tsp salt, 1/4 tsp red pepper flakes, 1/2 cup of olive oil and 1/8 cup of lemon juice. 1. Place all dry ingredients in your food processor on pulse until all ingredients are the same consistency. 2. Pour lemon juice and olive oil in a small bowl. Serve with bread or with pizza for a dipping sauce. To pull of our Game Touch Down! menu without a hitch. 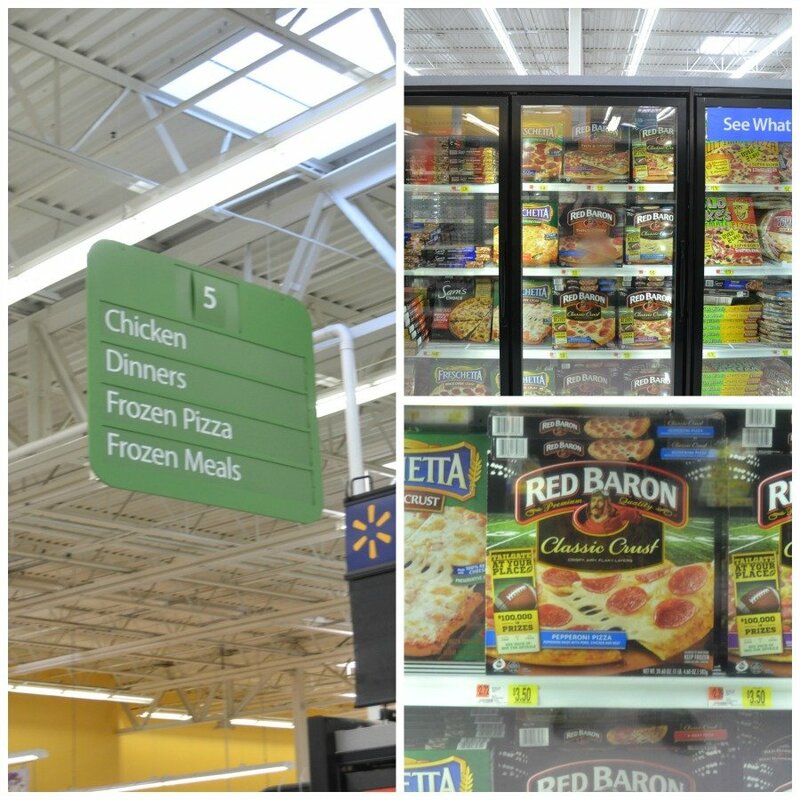 I headed over to Walmart where I knew I could find everything I was looking for. 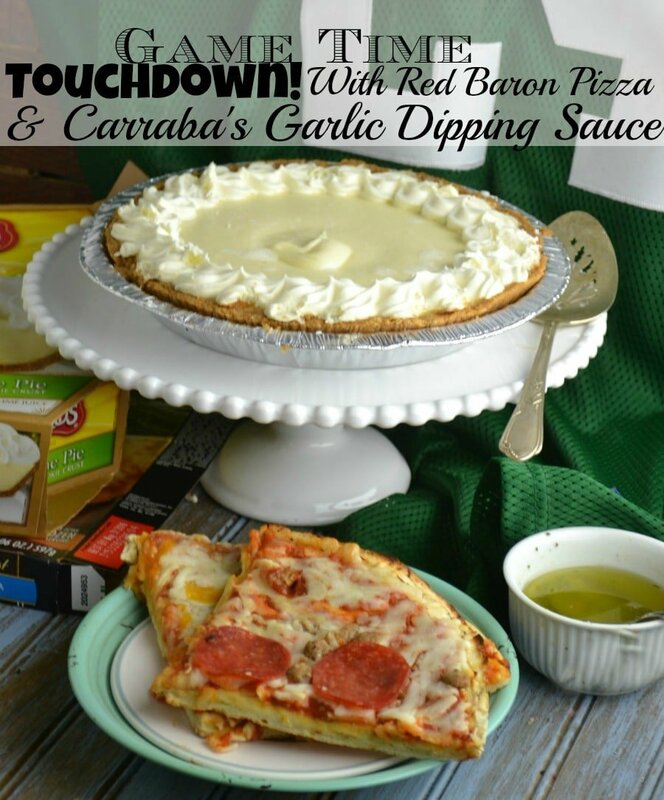 Red Baron makes hosting the big game an easy, convenient option! With Crust Perfection in Every Bite, what more could I ask for? I also picked up a nice Edwards Key Lime Pie for dessert. I don’t get many great days like this to spend time with the family. Pulling off a great big game day with little effort from me could not have been done without Red Baron. I was so happy to be able to spend time with my family instead of slaving over the hot oven all day long. Overall this day was a TOUCHDOWN! Do you host a party for the big game? Mmmmm, that looks so yummy!